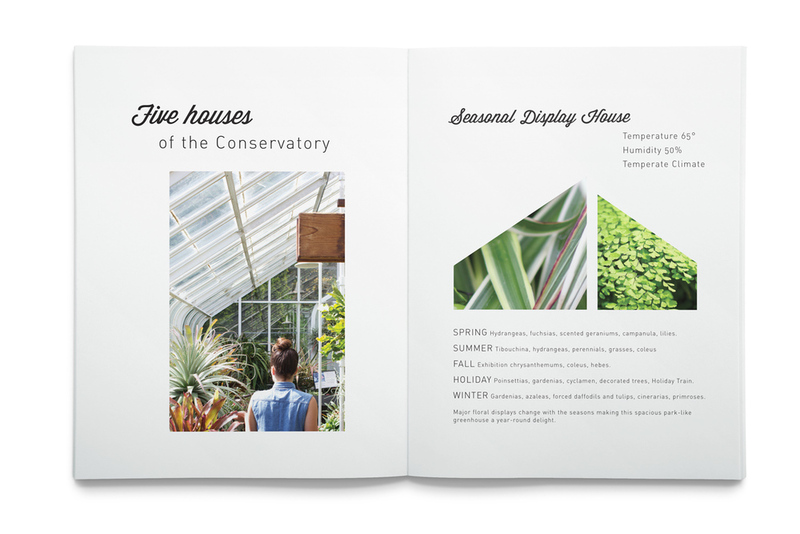 PROJECT - Volunteer Park Conservatory membership brochure. 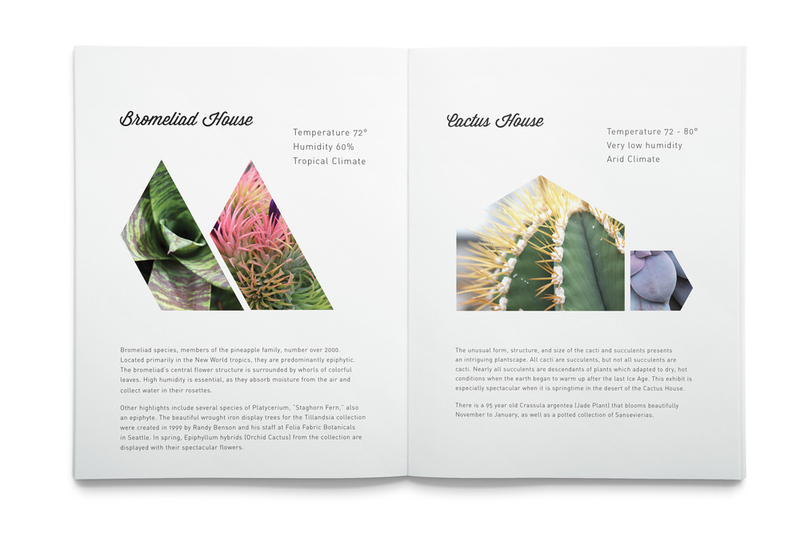 The goal of this project was to invite donations / memberships and to raise awareness of the different botanical rooms throughout the conservatory and classes offered. 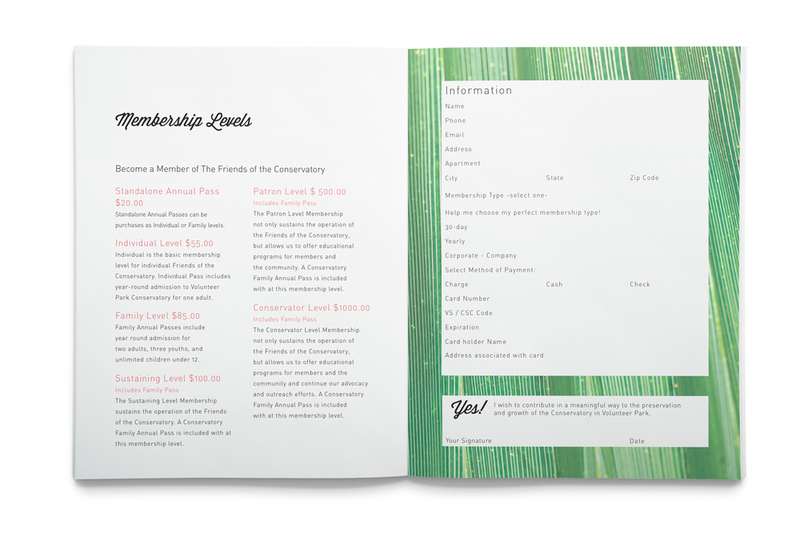 The style approach was a clean layout to make the copy accessible for the reader. Integrating natural light photography that echoes the warm and cool tones of the conservatory was important, as well as bringing the geometric shapes of the house into the layout to reflect the space.